Helping you find #TrashTaggers near you! Organize your own #TrashTag Event! Get to know our program! We saw all the AMAZING posts all over Twitter with the inspiring hashtag, TrashTag, where countless selfless individuals took time out of their day and went out of their way to clean public areas near them, to not only have the area look better for them, but for the people around them as well. We wanted to recognize these individuals for their work as well as inspire others to go out and perform #TrashTag for themselves. 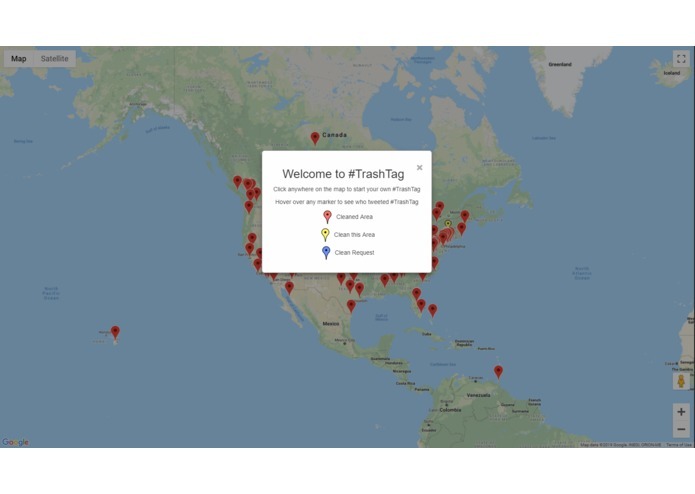 Our project, TTLocator, parses twitter for the TrashTag hashtag and finds their location based on their geolocation tag or by parsing their tweet. We then plot these locations with markers on a map, and hovering over a specific marker will show you the twitter handle of the person that cleaned up that area. 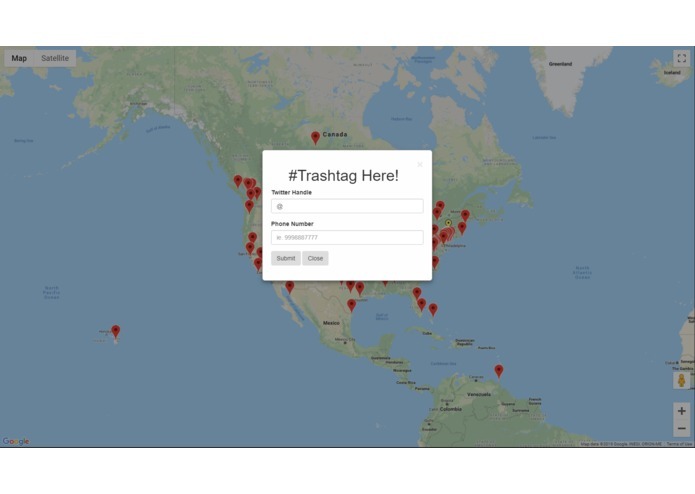 Our project also allows users to create their own TrashTag hashtag event, and sends out texts to other users in the area to come and join in on the fun. 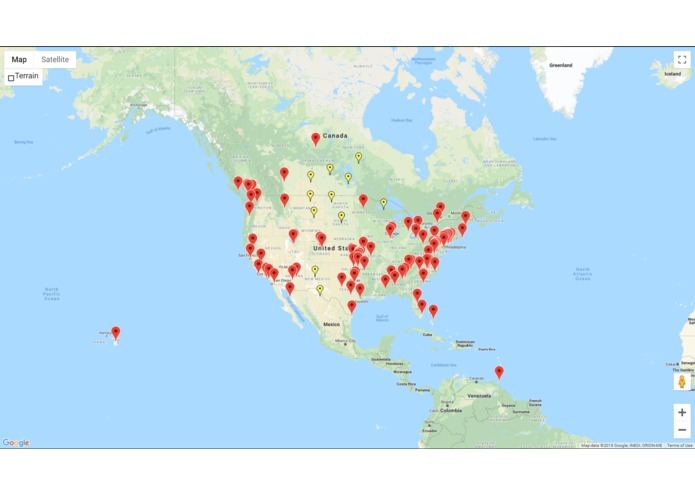 We used a python twitter scraping API to find TrashTag'rs locations. We then used Google maps APIs to visually plot the locations on the map. We then used Twilio text API to send text messages to users in the area of a new TrashTag event. Finishing our first Hackathon. Tackling this problem was very daunting at first, especially since no one in our four person team had ever done a Hackathon before. Overcoming the delegation of different aspects of the project, figuring out which processes and languages we needed to use, and how to integrate all the components were the greatest accomplishments for each of us. We learned how to communicate between frontend and backend more efficiently as the day went on.